An ICT-focused cluster matchmaking event took place during the European Innovation Week in Taipei (Taiwan) from the 30th of May to the 1st of June of 2016. The Cluster Matchmaking Event coincided with the COMPUTEX Fair. The Event represented a real opportunity to foster cooperation between European and Asian clusters and their SME members within the ICT field. The Cluster Matchmaking Event was part of the European Innovation Week in Taiwan (30th of May to 3rd of June 2016). 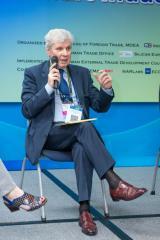 The European Innovation Week was a joint initiative of the European Commission in collaboration with Silicon Europe Worldwide, Enterprise Europe Network (represented by the Taiwan External Trade Development Council - TAITRA), EU Chamber of Commerce in Taiwan, European Cluster Collaboration Platform (ECCP) and the Industrial Technology Research Institute (ITRI). The delegation consisted of 23 cluster representatives from 11 different EU Member States (Belgium, Bulgaria, France, Germany, Greece, Hungary, Italy, Netherlands, Poland, Romania and Spain). These cluster organisations represented a range of ICT domains, such as micro- and nano-electronics, digital technologies, aerospace, telecommunications, automotive, and energy. 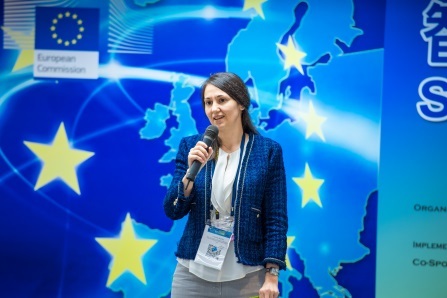 During the European Innovation Week, the cluster representatives had the opportunity to participate in a series of informative and networking activities, which included a Cluster Introduction Session, a Matchmaking Session, several seminars, a Guided tour to COMPUTEX, company visits and a Welcome Reception.